Between kindergarten and eighth grade Christmas stars started appearing in my neighborhood. Farmers fashioned stars out of lumber and lights and mounted them on the tops of silos and other tall structures on their property. One year my uncle fashioned one such star for the silo at my grandfather's farm, and a few years later it came to our house where my dad mounted it at the top of a 5-story tower that held our TV antenna. High in the air and out in the country without city lights, our star and the others in the neighborhood shown large among a night sky filled with stars, and they proclaimed the coming of Christ. So, a couple years ago when our staff was encouraged to decorate our offices for Christmas, my mind went back to my childhood. I went to the shed behind our house where I collect scrap lumber and have a few tools for cutting it. I cut and re-cut. I drilled and inserted tiny hooks. I hung lights. When I finished I had a Christmas star, sort of. 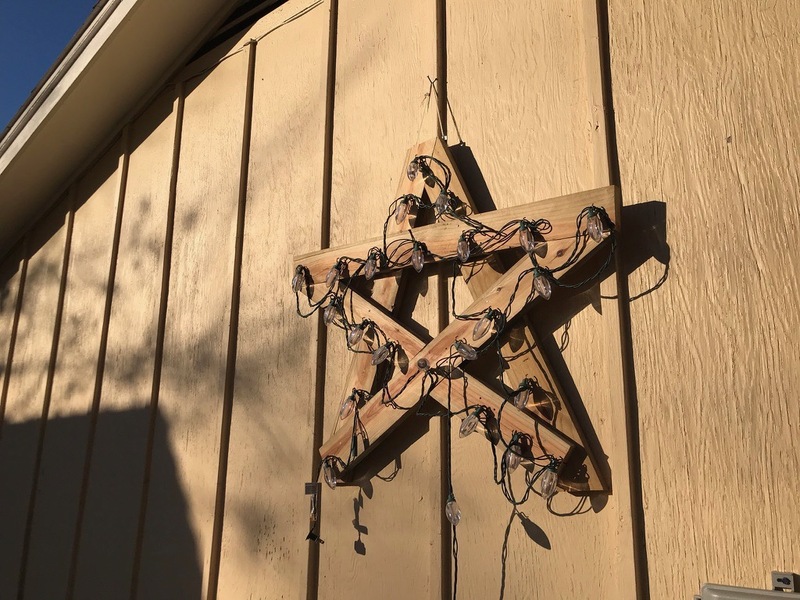 You may be able to tell from the photo that my Christmas star had wood that looked fresh in some places and severely weathered in others. It had pieces with multiple cuts that didn't align perfectly. It had some smooth edges and some rough edges. Every light seemed to hang at a different angle, and the angles where different pieces of wood met weren't very accurate. In short this star was ugly… and perfect for a Christmas star. The original Christmas star lit the way for Magi to find a messiah that was physically average or even unattractive and who had the same human frailties and weaknesses as the rest of us. The Christmas message is not that God one day fixed us but that one day God joined us in our brokenness. When it comes to Christmas decorations, I encourage you to embrace a bit of ugliness and imperfection this year. Those characteristics perfectly point to the Christ that came at Christmas. I also encourage you to join us at Access this Sunday as we continue our sermon series on Christmas contradictions and further explore the topic of "Lights and Stars." I love this Rich! Thank you for your insight. Two things stand out to me. 1-LIke the star, we all have rough edges that don't match up to what we would like or what Society would like. 2-God doesn't come to fix us, He comes to join us, be in relationship with us. We are not perfect! we are not supposed to be perfect!